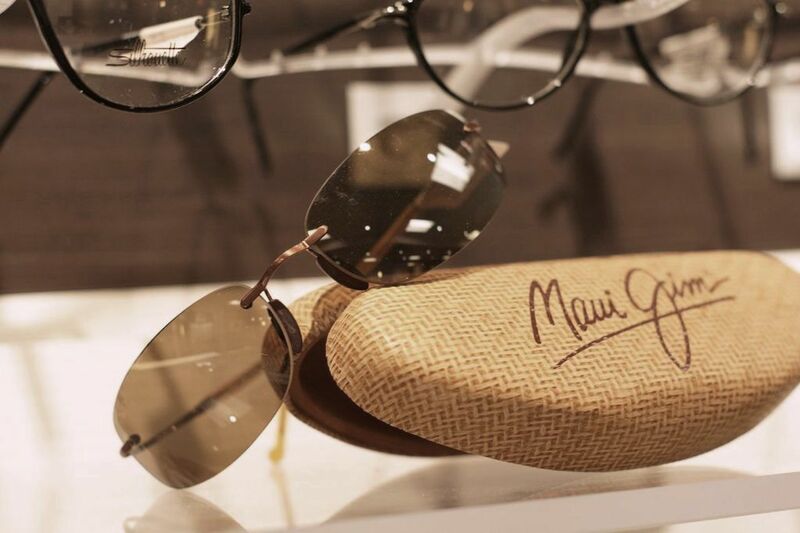 Sun wear is just as essential for each of our patients as your primary eyewear. Sun wear or sunglasses are a form of protective eyewear designed primarily to prevent bright sunlight and high-energy visible light from damaging or discomforting the eyes. Sunglasses are often seen as a fashion accessory, but at Berkshire Eye Center we strongly believe that sun wear is crucial when it comes to protecting your eyes from harmful ultraviolet radiation from the sun year round. Pro Design and many more! We value the importance of eye protection in our sun wear and realize sunglasses are often a fashion statement as well. We think you will be pleased with our fashion selection of designer and high end sun wear.We strive to give you the best protection and to help you look your best wherever you go! What’s the difference between Tinted lenses and Polarized lenses? Tinted lenses reduce brightness (not glare) but only polarized lenses reduce brightness AND eliminate glare! Tinted lenses do not block indirect glare, but polarized lenses do. Tinted lenses will help soften the look of your lenses and will help reduce the brightness from the sun but they will not reduce glare from the sun’s rays. 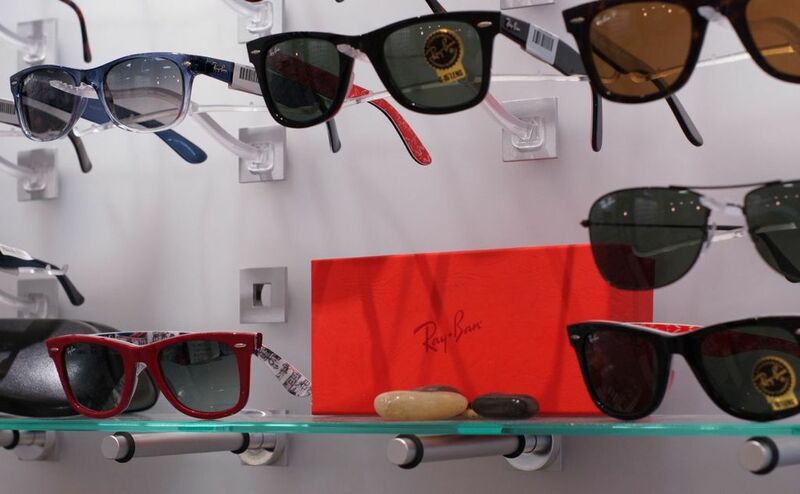 In addition, they do not provide full protection from the sun’s harmful UV radiation. Polarized lenses will give you full ultraviolet protection from the sun’s harmful radiation. In addition, polarized lenses are designed to eliminate glare that often causes eye fatigue and decreased vision. When you experience glare, light reflects off certain flat surfaces like a wet road or snow and often makes it difficult to see clearly. When this happens, instead of light being scattered in all directions the way it should, reflected light generally travels in a more horizontally oriented direction. This creates a glare that often is very intense and causes problems when driving or when you are in direct sunlight. What polarized sunglasses do is cut through both horizontal and vertical glare and haze so you can see better and have less eye strain and fatigue. Polarized lenses contain a special filter that blocks this type of intense reflected light and provides you with ultraviolet radiation protection. This is very important for the health of your eyes. So many patients prefer polarized lenses because of their many advantages. For most sports and outdoor activities, polarized sunglasses are a great option to protect your eyes while still enjoying your active lifestyle! Sun wear can be made into non-prescription glasses or we can put your prescription into almost any pair you desire! Our optical team members and opticians will help you select the best frame choice and lens type for your specific prescription needs to allow for the least distortion and the best protection for your daily needs. Often times, people don’t know that it is best to wear sunglasses all year round. During the warmer months when the sun is out, sun wear helps shield your eyes and provides better visual acuity. In the colder winter months sun wear is just as important as the sun’s rays can reflect off of the snow creating glare and thus can impact visibility. On overcast days as well, it is so important to protect your eyes. Just because you can’t see the intensity of the sun’s rays, doesn’t mean they can’t be harmful to you. Sun wear protection is the key to your safety from ultraviolet radiation and harmful rays. There are 3 types of ultraviolet radiation. The intensity and severity of their rays are measured by their wavelengths. The shorter the wavelength of radiation, the more powerful and potentially harmful it can become. The 2 out of the 3 types that are the most damaging to one’s eyes are UVA and UVB. UVB can cause the most damage to your eyes and skin. It is a mid-range wavelength, but it affects us the most. UVA is a longer- range ray and makes up the majority of ultraviolet radiation from the sun. It enters into your eye through your cornea. In addition, when UVA is combined with UVB it is potentially more harmful to us than when by itself. Both UVA and UVB can be extremely harmful when you are exposed to the sun. Furthermore, patients whose eye color is light blue, light grey or light green are at a higher risk for more damage to their cornea than those who have a darker pigmentation in their eye color because more light is able to enter in through a lighter colored iris (the colored part of your eye). It is highly recommended for your safety to wear UV sun wear and guard your eyes from these unsafe and damaging forms of radiation. Sun wear is essential for the overall health of your eyes. Sun wear with UV radiation protection is one of the best methods to ensure your eyes are shielded from the sun’s radiation. Many people don’t realize how important it is for children to have protective sun wear as well. Children’s eyes are even more susceptible to the sun’s damaging ultraviolet radiation because their eyes are still developing. Berkshire Eye Center highly recommends sunglasses for children of all ages. Their eyes have not fully developed their natural filtering capabilities and therefore can allow more of the sun’s light rays to enter in through their cornea. If this happens it can be very harmful to their vision over time. We offer prescription and non-prescription sun wear for children of all ages! Eye protection from the sun is so important to your health. We value your vision and want to ensure you receive the best care and treatment possible. Berkshire Eye Center strongly recommends sun wear for all of its patients. By protecting your eyes you are protecting your vision!